As you can tell from my photography, I’m a biiiiig fan of road trips! I thought I’d begin collecting road trip resources for you—some of, though hardly all, my favourite websites and places (just keeping in mind I’ve only made it to Santa Rosa, New Mexico when it comes to the Mother Road). For some of these roads, the resources are nearly endless; again, I’ve chosen my favourites. Is there one you think I need to know about? Do drop me a line! McJerry 66 Artist Jerry McClanahan is also the author of the truly indispensable, highly-recommended, much-beloved EZ-66 Guide, a turn-by-turn guide to Route 66 which you can use from east-to-west or west-to-east! His website also features his own artwork, updates to the EZ 66 guide and a terrific collection of links related to 66. 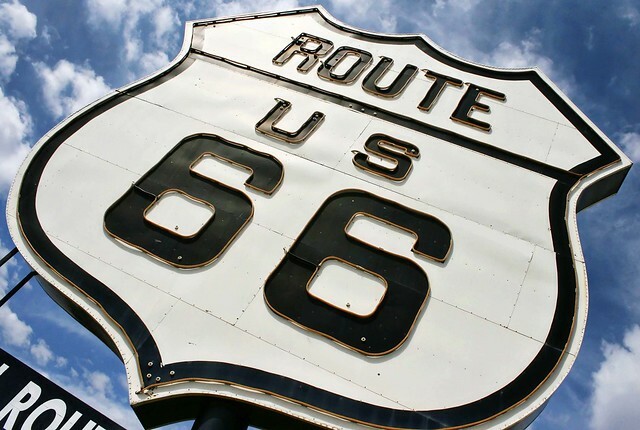 Legends of America’s Route 66 page Great site if you’re seeking the history of and information about Route 66, mile-by-mile. Historic Route 66 Site with turn-by-turn directions, a calendar of events, a photo gallery, GPS downloads, and a wonderfully active forum packed with helpful folks. John’s Modern Cabins News Focused on efforts to preserve sites along Route 66. Liberty Images Yup, self-promotion time. I’ve had the privilege and joy to be working on a Route 66 photography project for three years now, and you can buy some of my limited-edition Route 66 photos for your own home, office, or business! In-stock Route 66 photos are here, but if you don’t see what you’re looking for in my shop, you’ll find all of my currently-released Route 66 photos here; if you see something you like that’s not in my shop, please send me an email (Jen *at* LibertyImagesPhotography.com) and I’ll get the ball rolling, because I do love making people happy! Henry’s Rabbit Ranch It was closed by the time we arrived, but everything I know indicates it is a must-see. Ariston Cafe Fine food and *really* wonderful people—a 66 icon for many years, one you must stop at! Old State Capitol Historic Site Very handsome architecture here. As a fan of classical styles, I was in seventh heaven. Polk-A-Dot Drive In The best burger I’ve had in my LIFE. Right on 66 in Braidwood, not far from the Gemini Giant. Do not die without eating a burger here. Ambler’s Texaco and Soulsby Station Two of many restored filling stations along the Mother Road. Wild Hare Cafe & Horsefeathers Popular dining spot AND goodie-shopping in the quiet town of Elk. I mean—LOOK at this dining room! Candles, bakery goods, antiques, old books, lecture series, painting classes—believe me, this is the kind of place readers of Victory Rolls & V8s will LOVE. And for what it is worth, the owner is a fellow Michigander. The Munger Moss Motel THE place to stay in or anywhere near Lebanon. It just is. Bob and Ramona are great! Route 66 State Park Museum In the old Bridgehead Inn, it’s not huge, but it is jam-packed with delightful historic artifacts and information. Beautifully organized—a very enjoyable stop. Gary’s Gay Parita Restored filling station—DO NOT miss this. Gary Turner, proprietor, is one of the nicest fellas you’ll meet. Red Oak II Artist Lowell Davis moved his hometown to this secluded, serene spot not far from 66. Must be experienced—it’s a little slice of heaven, truly. The Boots Motel Streamline Moderne motel being beautifully restored by its new owners; you, too, can stay where Clark Gable and Gene Autry slept. Baxter Springs Delightful little town. Sadly, the fantastic and highly-acclaimed Cafe On The Route and Little Brick Inn closed without warning this past January. Hubby and I have stayed and eaten there multiple times and loved them both. We were very, very sad to hear they’d gone. Still, the town itself is a treat to walk through; there are some neat shops to check out. Four Women on the Route Must-stop! Eisler Brothers Old Riverton Store has been in business here since before 66 opened. Today, you can pop in for some deli food and enjoy your lunch at one of the picnic tables outside. The Rainbow Bridge Just west of Riverton, the “rainbow” bridge is a simple but graceful piece of architecture along the road. It’s also lovely to stroll across; the wood just beside it is quite pretty and calming to gaze upon. The world-famous Blue Whale of Catoosa! Rainy day photo or no, I had to include this one. The Oklahoma Route 66 Museum Newly remodeled, this is probably my favourite Mother Road Museum. The Coleman Theatre Beautiful Stunning restored vintage Louis XV-design theatre in Miami, Oklahoma. Arrive at the right time and you’ll get a marvellous tour of this grand old movie and entertainment palace! Afton Station Restored 1930s filling station in Afton, Oklahoma, run by Laurel Kane, who is a great hostess. Jam-packed with gorgeous vintage Packards! 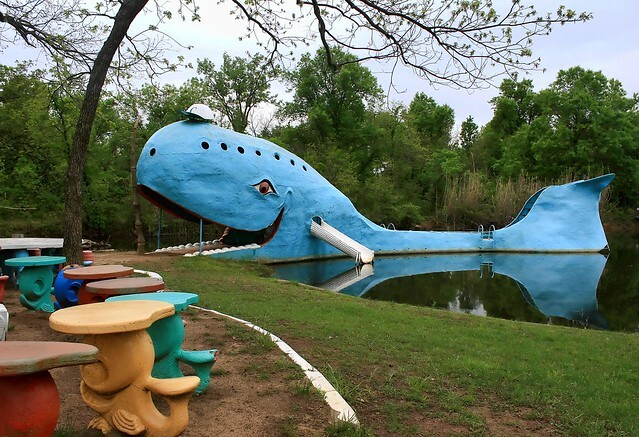 The Blue Whale of Catoosa Like nothing you’ve ever seen—wonderfully so—the Blue Whale is the pinnacle of fantabulous roadside kitsch. It is impossible to be unhappy here. IMPOSSIBLE. 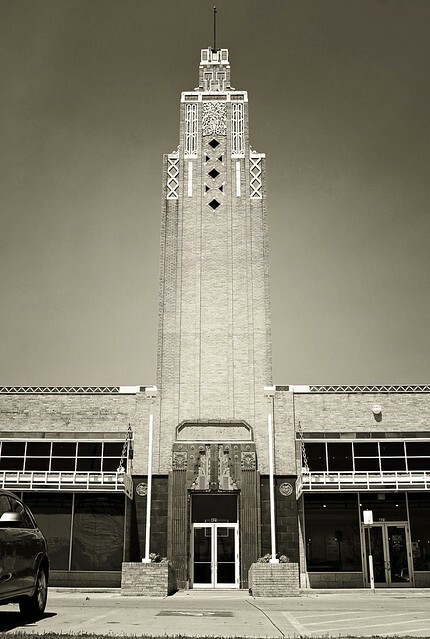 Tulsa’s Art Deco architecture is something else it would be a pity to miss! Shown: the 1929 Public Market. Totem Pole Park Home of the world’s largest totem pole—imagined and built out of concrete by US Army veteran Ed Galloway. In addition to the largest totem pole, there are a many other totems and sculptures at the park, as well as a pretty little house—also concrete—housing Mr. Galloway’s hand-carved fiddles; these are quite beautiful indeed. He was a very talented man. Like the Blue Whale, there’s no charge to visit, but donations are gratefully accepted—and just like the Blue Whale, deserved. Clanton’s in Vinita Good food served by good folks. Another place where they’re happy to work with celiacs. Tally’s Good Food Cafe in Tulsa Delicious diner food—with an emphasis on breakfast. 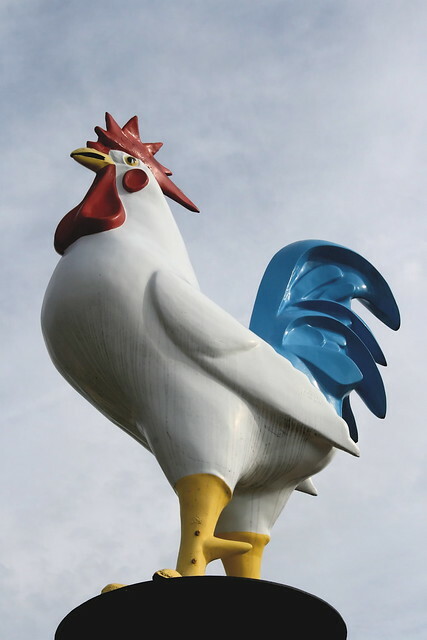 Attentive, fast service and a fun atmosphere in this Route 66 diner. Be sure to check out the omelette selection. Tally’s, too, will do its best with celiacs. We ate breakfast here one day and didn’t need to stop for lunch! Midpoint Cafe Yes, I’m gluten-intolerant, but couldn’t resist a heavenly-delicious (crustless) spoonful of the Midpoint’s delicious “Ugly Crust” pie. 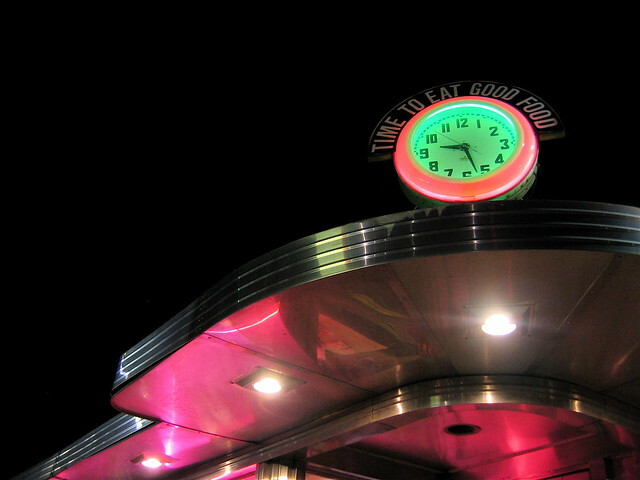 The Midpoint was also the inspiration for Flo’s in Cars! U-Drop Inn of Shamrock, Texas You saw this beauty in Cars, too. Jaw-dropping, swoon-inducing Deco gorgeousness. Glenrio, Texas What’s left of this Route 66 ghost town leads you from Texas into New Mexico. Cadillac Ranch Not exactly ON Route 66, it’s close enough—and so iconic that you have no excuse for passing it by. The Motel Safari My favourite place to stay in Tucumcari! 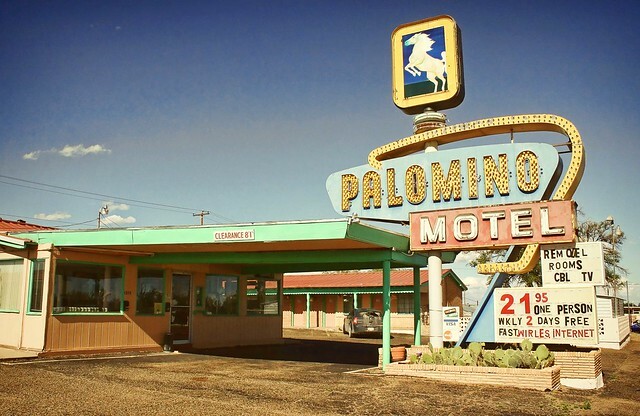 Tucumcari Mountain Inspiration for a monument in Pixar’s Cars, this is something you literally cannot miss! Kix on 66 After spending the night in Tucumcari, you’ll want a good breakfast, and Kix’s is where to get it! Celiac-friendly—as always, just explain your needs to your waitstaff. Very friendly folks, very good food, and great coffee! Cuervo This Mother Road town is still gasping out its last breaths after being split in half by the interstate, but is so very much worth seeing. Just…wear sunblock. (Link to my own photos of Cuervo; there is no official site.) Don’t miss fellow ghost towns Glenrio or San Jon, either. We haven’t been here in several years for quite a few reasons; hope things return to previous status soon. The Lincoln Highway Association Just about everything you need to know, from history to events to, of course, maps. Also has links to all of the state chapters. 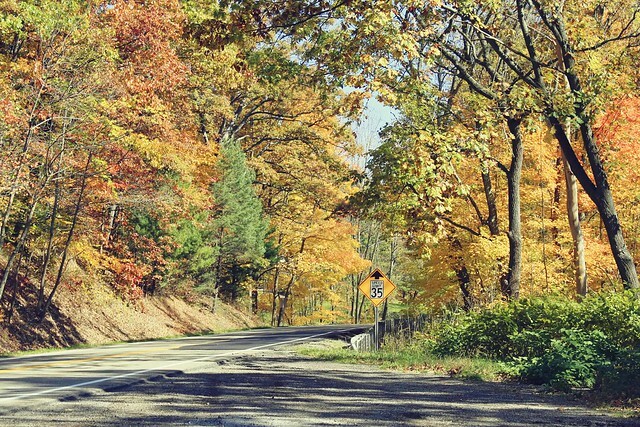 Lincoln Highway Heritage Corridor Site for the 200 miles of Lincoln Highway in Pennsylvania, including a suggested three-day tour. 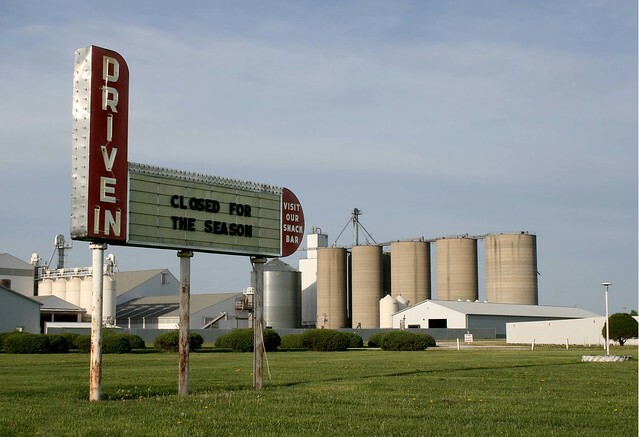 Lincoln High-Way Buy-Way Combine two popular American pasttimes: road tripping and yard-saling! Broken Rocks Cafe Named for a beautiful spot in my home state of Michigan, the Broken Rocks, in Wooster, Ohio, has TERRIFIC food—and they’re happy to work with celiacs! We love the hummus…and the cocktails. Our favourite Buy-Way food break spot. Retro Roadmap Trip the roadside kitsch & fabulousness fantastic with Mod Betty! US Highways From US 1 to US 830! Vintage Roadside Great tees celebrating the best of America’s old roadside attractions. My TripAdvisor Reviews Having benefitted so much from the reviews of others, it only seems right to share my experiences with others. Also…we have not vacationed since moving to Ohio, Hubby being so busy at work. I am SO READY to hit the road for a week again! Roadtrippers.com A terrific new site that allows you to whip up your own itinerary—search for everything from museums to cafes to kitschy roadside stops. I’m a big fan! 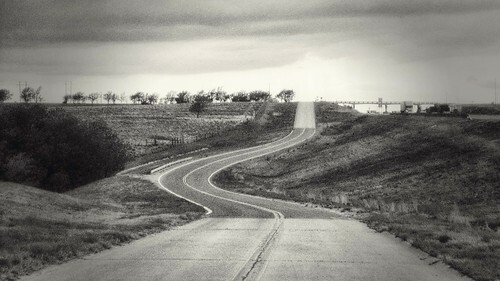 Thanks for including Retro Roadmap on this great resource page! I’ll be using this when I plan my big Route 66 trip in a couple of years!